Smoked paprika is a great spice that comes from a particular chilli pepper that is dried on selected wood. 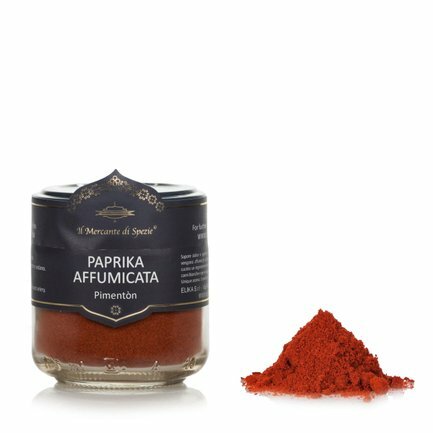 This drying process gives the paprika its characteristic aroma and sweet taste, full of flavour and making it indispensable for flavouring sauces, fish and meat. 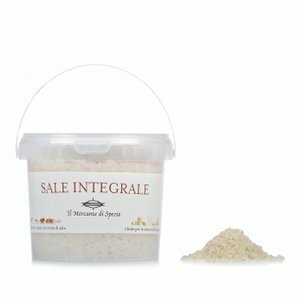 Il Mercante di Spezie knows how to add originality to your pantry! Ingredients Smoked paprika. For more information on product labels, please contact our Customer Service department. The information on the labels of the products may vary for reasons beyond our control, therefore, there may be discrepancies between the information on the site and that on the products delivered. Please always check the information on the product before consumption or use.